September 4, 2017 is Labor Day! While many see it simply as another day off, or the kids’ first day off after school starts, the day is actually one of civic significance. Beginning in the 1880’s, there was a national movement amongst labor unions which sought recognition, better treatment, improved working conditions, and laws to regulate employers. This movement consisted of demonstrations, parades, and worker strikes. In May 1894, there was a national railroad worker’s strike, which would come to be known as the Pullman Strike. In response to a reduction in wages, workers for a railway car company effectively shut down half of the country’s rail line, leading to a show of force by the U.S. Army and the U.S. Marshall’s Office. The devastating results were 30 deaths and 57 injuries. In order to quell the public outrage and seek support from the national unions, Congress and President Grover Cleveland established Labor Day, a national holiday to celebrate this nation’s workers. While Labor Day recognizes the contributions of workers, at New Direction Family Law, we want to give some additional recognition to the many working parents who deserve to be celebrated. In short, not only are you contributing to the American workforce, but you are providing stability and opportunity at home, for your children. Therefore, you deserve to take advantage of Labor Day and treat yourself (and maybe your kids) to some fun. For some inspiration, the Economic Development Partnership of North Carolina maintains a calendar of major celebrations and festivals during the first two weeks of September. This includes a Carolina Beach Boardwalk Blast and Fireworks show, the Smoky Mountain Folk Festival, the John Coltrane International Jazz and Blues Festival, the Hopscotch Music Festival, the National Folk Festival, and Labor Day Celebration at U.S. National Whitewater Center. If those options are not for you, take advantage of the end of amusement park season and go to Carowinds amusement park. Or, if you just want some time to yourself, send your children to Carowinds with friends and enjoy your well-deserved day off. At New Direction Family Law, we truly appreciate working parents and everything they do to provide a good life for their children. 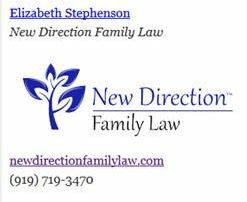 If you are in need of legal assistance with any family law matter, let us help you. The team at New Direction Family Law has more than two decades of legal experience and will provide you with compassionate, intelligent legal advice. We serve Wake, Johnston, Lee, Harnett, Cumberland, Nash, Granville, Franklin, and Durham counties. Contact our office today at (919) 719-3470 to schedule an appointment, or visit us at our website.